Pictures on this site are provided in JPEG and DjVu. The DjVu versions load much faster, look nicer, and are zoomable, but you need the DjVu plug-in to view them. 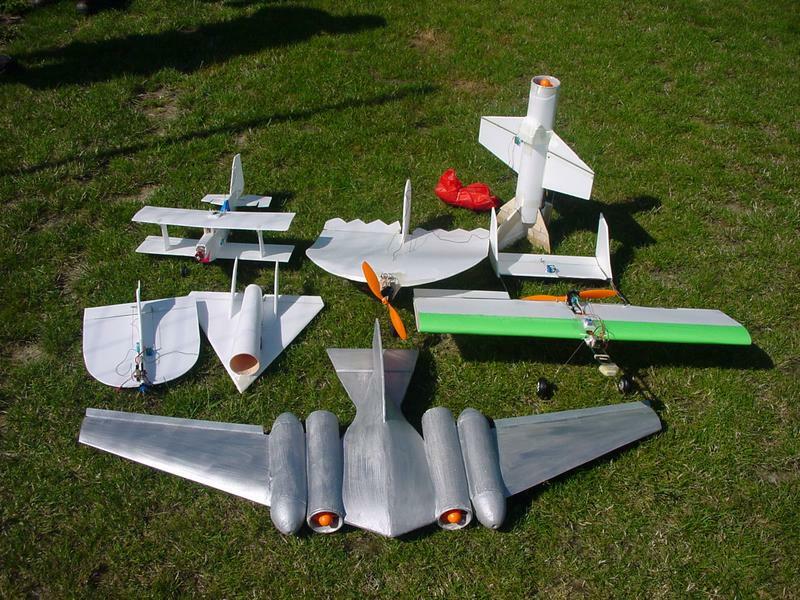 Here are several airplanes that I, my brother, my dad and my kids designed and built. 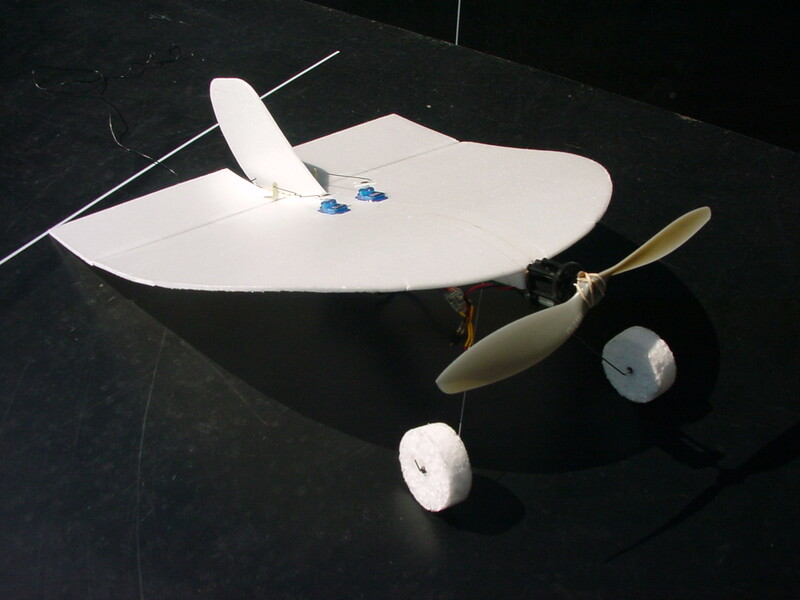 We like ultra-light, electric-powered, radio-controled airplanes with unusual designs. 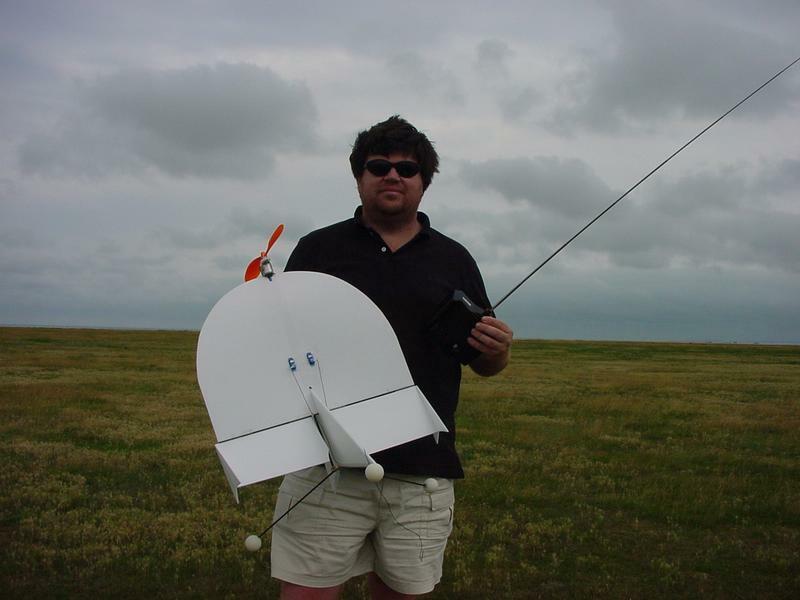 I encourage you to check out my blog about miniature flying contraptions, robotics, electronics, and other techno-toys. The raw picture and movie collections around which these pages are built (which includes airplanes, legos, and other techno-toys) is available here. 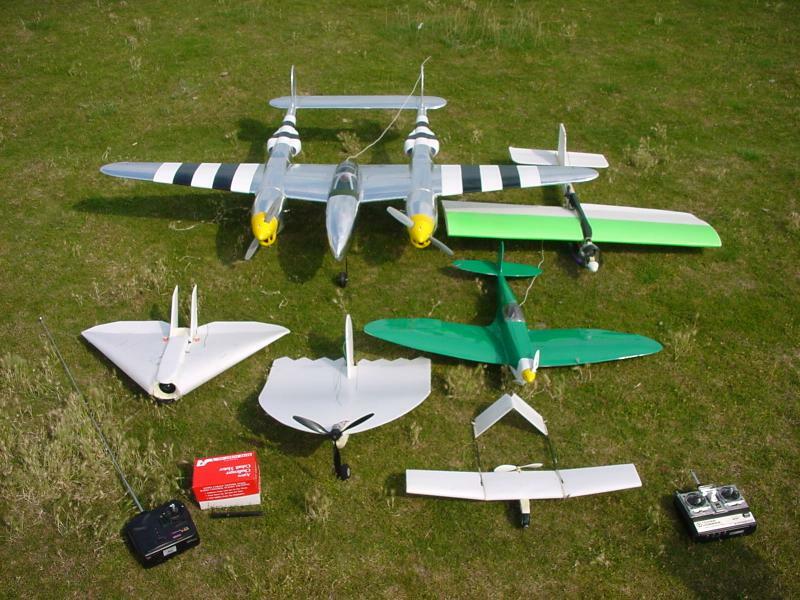 Visit the E-Flight Links Page, with links to on-line stores, manufacturers and various interesting sites about electric flight and R/C micro-flight. 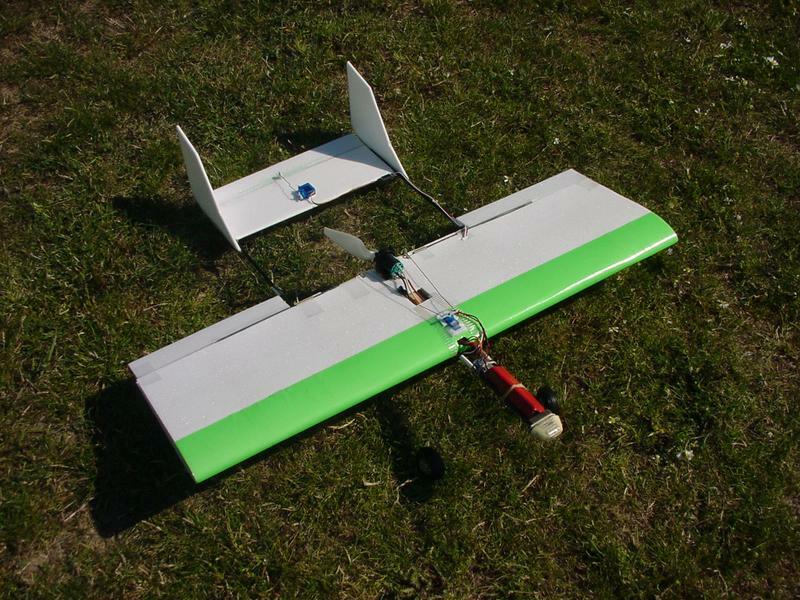 PMAV: a new concept in R/C electric airplane. build it from scratch in less than an hour. 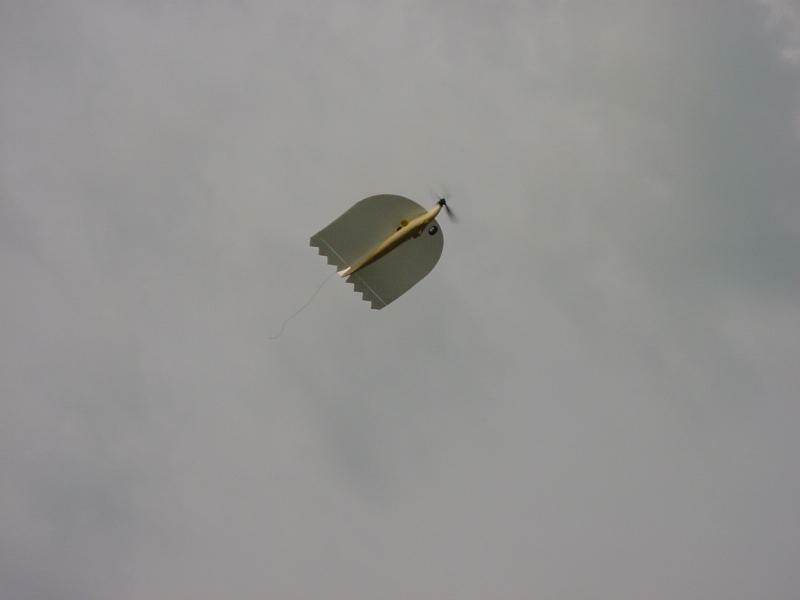 fly it in your backyard, no prior experience required. assemble everything with tape, no glue required! 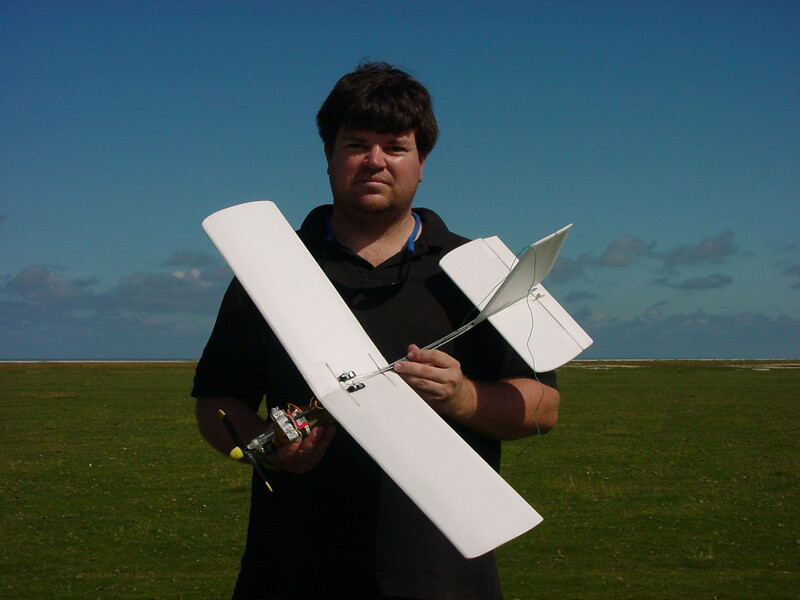 wingspan: 320mm, mass: less than 100 grams. Jump to the PMAV PAGES, and see more pictures, videos, plans, and detailed building instructions. 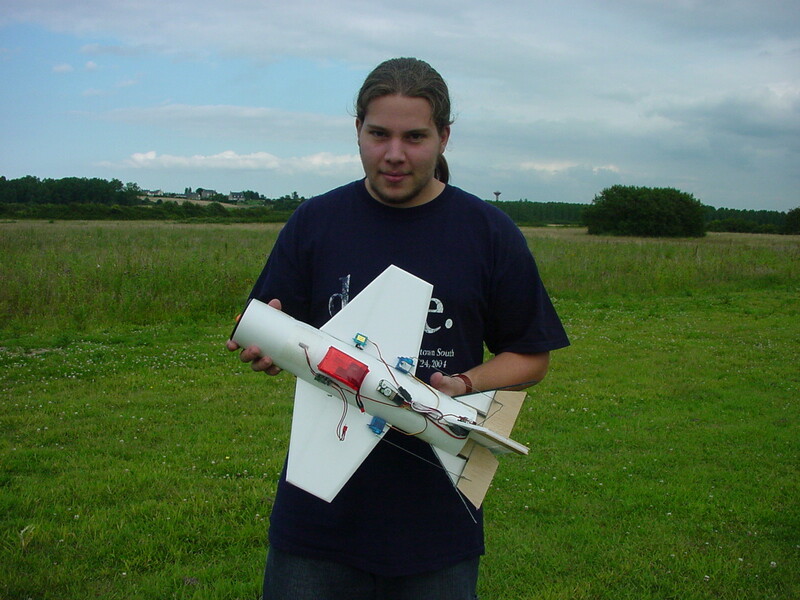 Back in 2006, we experimented with a home-made engine sound synthesizer for electric R/C airplanes. 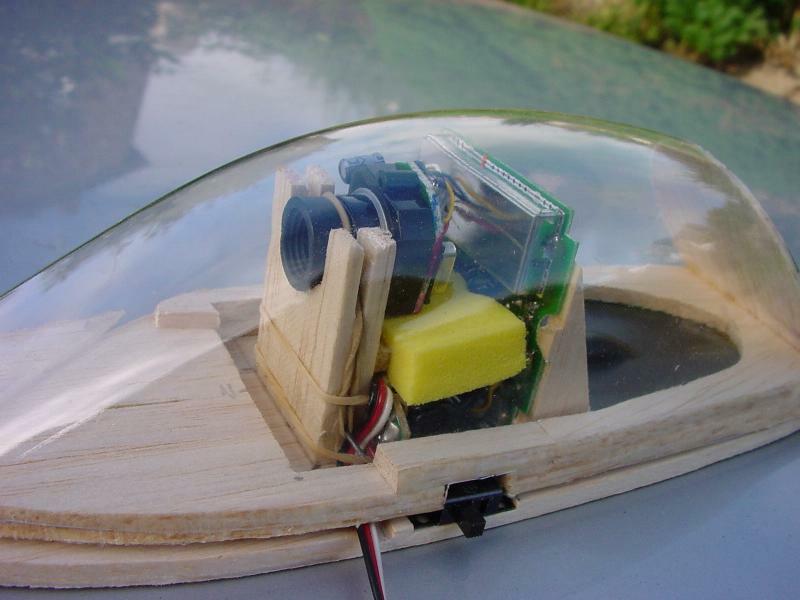 The main innovation is that the pitch of the sound is proportional to the speed of the propeller, measured by an optical sensor. The page includes pictures and videos. 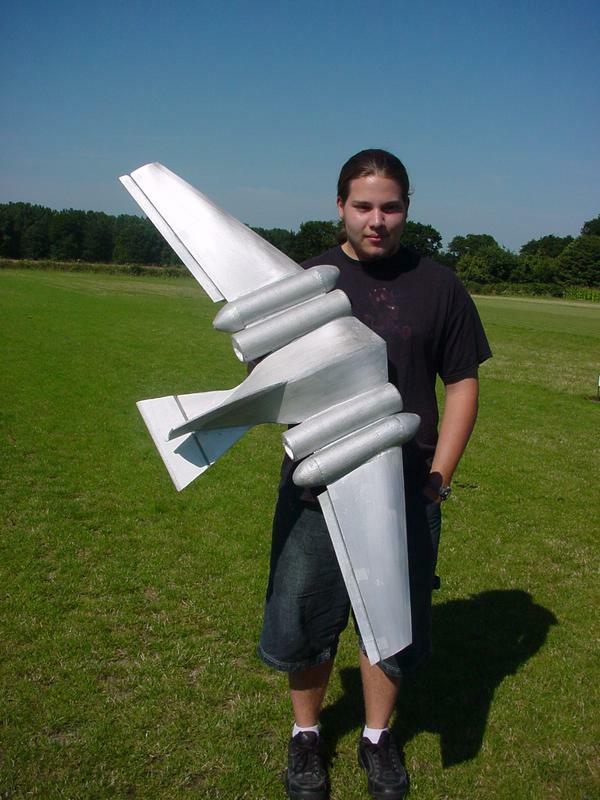 A nice-looking, easy to build Dassault Mirage 2000 model, powered by an electric ducted fan. Wingspan: 66cm; Mass: 490 grams with battery; Motor: GWS EDF-65 ducted fans with Feigao 10A motor; Battery: 3-cell 1800mAh Apache LiPo battery; Construction: Depron, carbon tube, yellow foam (nose). MORE INFO, PICTURES, VIDEOS >>>. Kevin LeCun together with his dad Yann and his uncle Bertrand built this semi-accurate flying model of Senator Amidala's Naboo Cruiser from Episode II of Star Wars (Attack of the Clones). This model looks really cool in the air, and flies wonderfully. Wingspan: 128cm; Mass: 515 grams with battery; Motor: two GWS EDF-55 ducted fans; Battery: 3-cell 1300mAh I-RATE LiPo battery; Construction: Depron and carbon tubes. The ADVERSE is a vertical takeoff electric airplane. ADVERSE stands for Avion a Décollage Vertical et Retour au Sol Erratique (Aircraft with Vertical Takeoff and Erratic Return to the Ground). ADVERSE is 290 grams, 50cm wingspan Depron/Carbon flying saucer powered by an Astro 010 brushless motor with a 4.16 gearbox, a 12x8 GWS prop, and an 8x700mAh NiMH battery. ADVERSE can take off vertically and fly around in a small backyard. 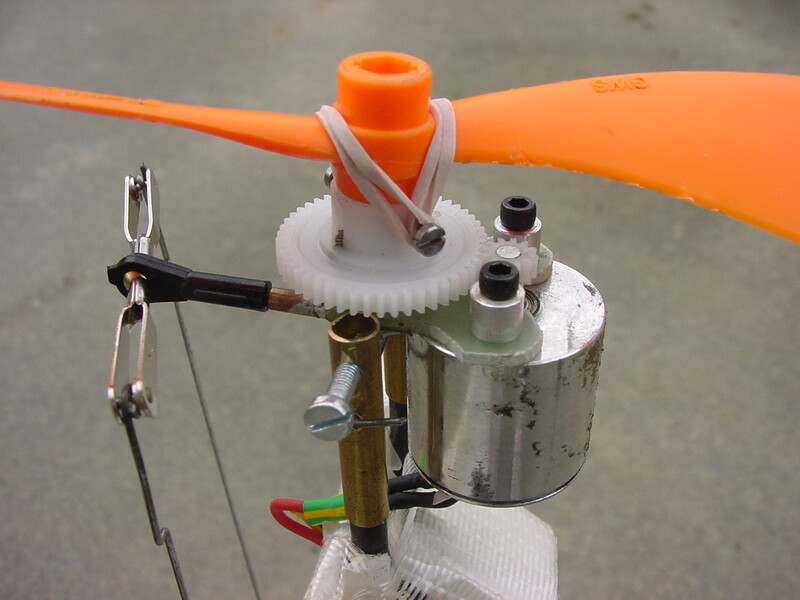 ADVERSE v2.0 has a steerable motor (coupled with elevator control) and can turn on a dime. Vertical landing is possible, but so far has only been achieved once (yes, once!). 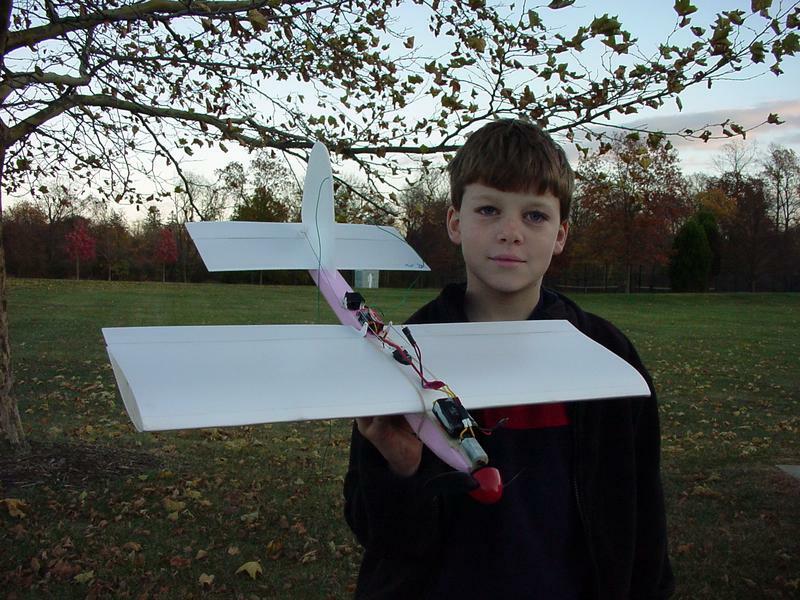 Many years ago, my brother and I built a Speed-400 powered "Flying PacMan". It was essentially a piece of 3mm Depron shaped like those nasty ghosts in the PacMan video game. 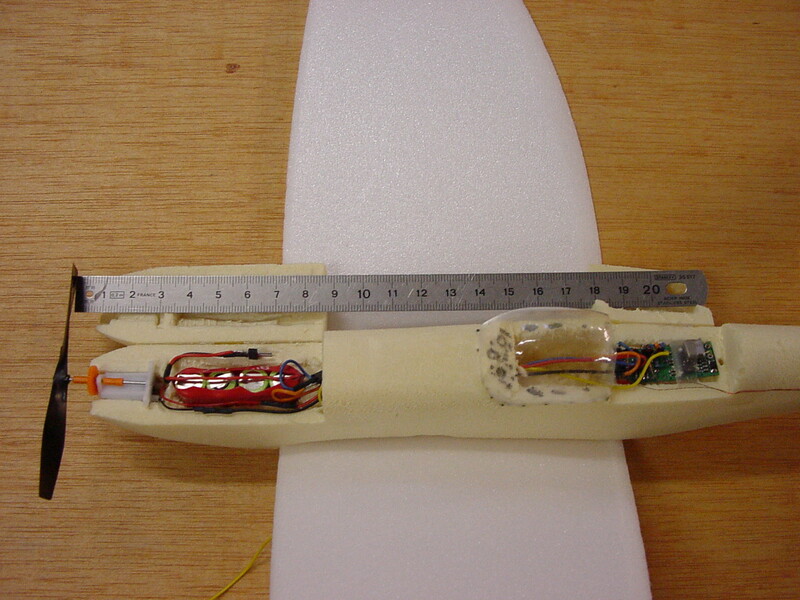 The sheet was glued on a foam fuselage. My dad and I built several more flying PacMans and Drenalyns since then. VISIT OUR DRENALYN/FLYING PACMAN PAGE >>>. Drenalyn 504: wingspan 504mm (3mm depron); motor 010 Astro brushless motor with Astro gearbox 3.27:1 and 10x4.7 GWS prop; battery 8x700mAh NiMH; mass: 290g. This thing has a larger-than-1 thrust to weight ratio. In other words, it can climb vertically, and can even hover hanging by its prop in a semi-controlable fashion if you are a skilled pilot! 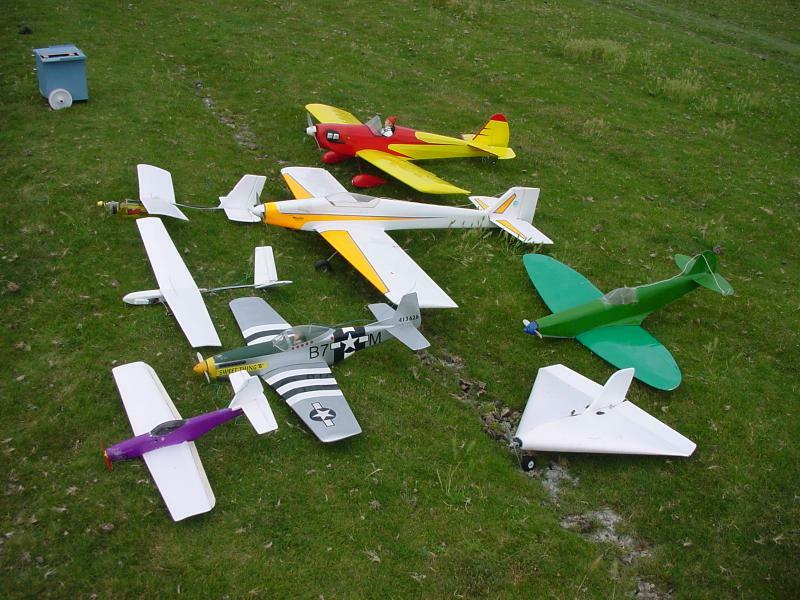 This is probably the most fun to fly planes I have ever built. MORE INFO, PICTURES, MOVIES >>>. 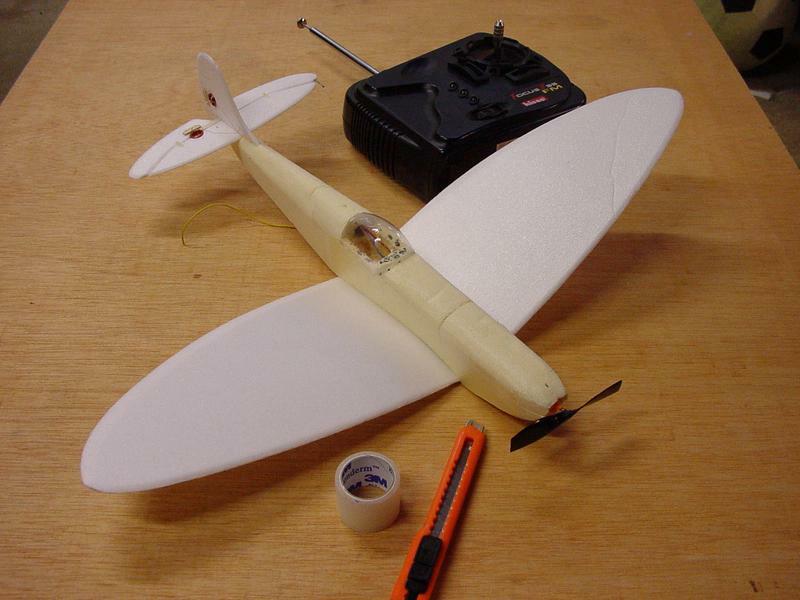 NanoSaucer 360: wingspan 360mm (3mm Depron sheet); motor GWS 7.2v motor from a Tiger Moth kit, 9x7 APC Electric prop; mass 115 grams; battery: 2-cell 560mAh Kokam LiPo battery; Quickly built, plenty of power for steep climbs, perfect slow flight for indoor fun. MORE INFO AND PICTURES >>>. 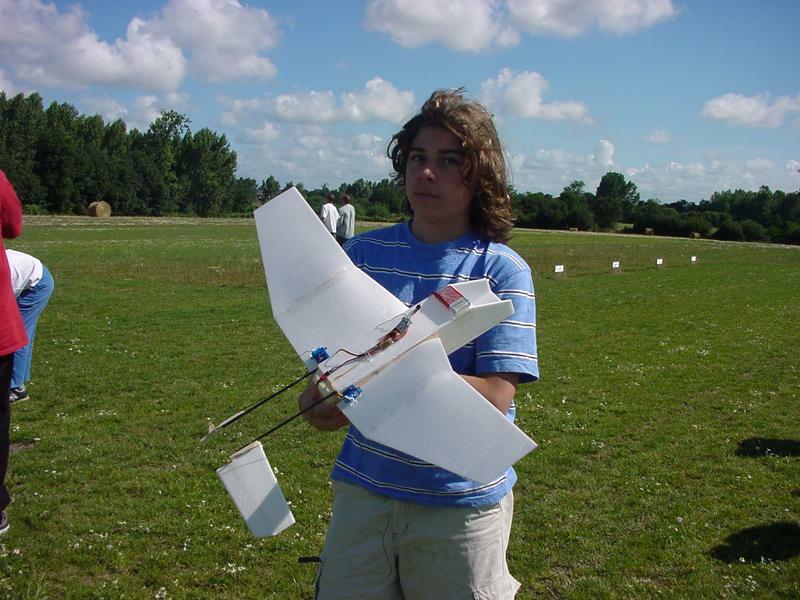 Drenalyn 360: wingspan 360mm (bent carbon rod + litespan covering); motor Astro Firefly 16:1 gear with a 10x8 GWS prop; mass without battery: 80g; battery: 7x70 to 8x300 NiMh; total mass with 8x300 NiMh: 145g. Very light and slow flying. Ideal for indoor. Flying PacMan: a mini Drenalyn shaped like the nasty ghosts in the game PacMan. Motorization, version 1.0: Speed-280 with 4:1 JH Gearbox and 3-blade prop; battery: anything between 7 cell 300mAh and 8 cell 700mAh. Motorization, version 2.0: Nippy 280 outrunner/LRK brushless motor with GWS 9047 orange prop; battery: 8 cell 700mAh. 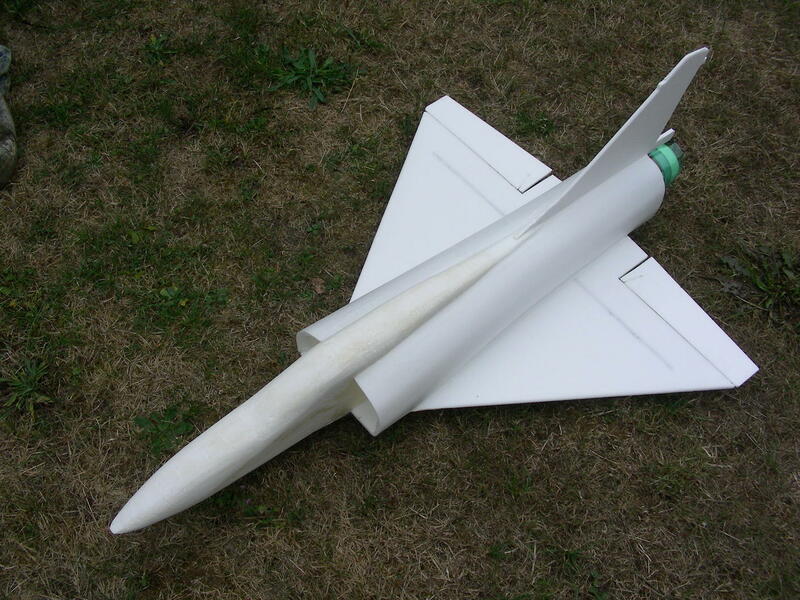 This is an "Electric Rocket": a electric ducted fan plane that can take off vertically. It is powered by a GWS EDF-64 electric ducted fan, where the lowly speed 300 has been replaced by a Feigao brushless motor. It takes-off quite well, but the flight more balistic than controlled. So it lands with a parachute. 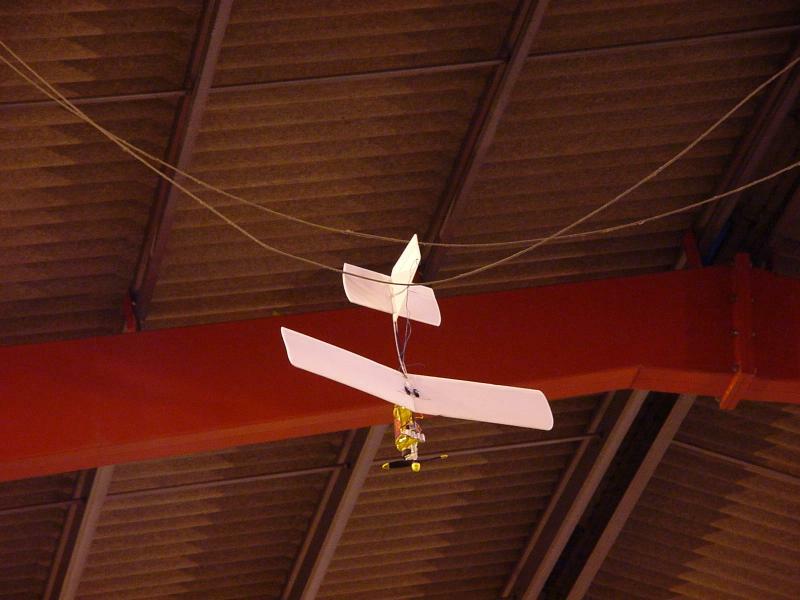 NanoMate is a tiny "Ultimate" biplane for indoor aerobatics. This plane is incredibly fun to fly (vertical climbs, torque rolls and all). It was originally powered by a over-volted GWS LPS motor, but it is now powered with a much more powerful MicRotex outrunner brushless motor. It's a rocket! Wingspan: 42cm; Motor: MicRotex outrunner brushless Prop: 8043 GWS prop; Battery: 2-cell 340mAh Kokam LiPo; Mass: 150 grams; Radio: GWS receiver with 3 Cirrus 4.4g servos. This is a quickly built, indestructible Depron/Carbon FunFly plane with a pusher configuration (so the motor cannot be damaged in a crash). Wingspan: 80cm; Mass 330 grams; Motor: Mini-AC 1215/16 brushless with GWS 4.5:1 gearbox; prop: GWS 1080; battery: I-RATE 3-cell 1300mAh LiPo. (this replaced the APC Electric 9x6 prop and the 8-cell 700mAh NiMH battery). This TurboWraith design was inspired by the "Wraith" figthers from the computer game "StarCraft". It is powered by a GWS EDF-50 electric ducted fan. The wingspan is 710mm. I build many of my airplanes with a wonderful material called "Depron". Depron is a kind of extruded polystyrene sold in large sheets (80x120cm in 3mm or 6mm thickness). It is sold in hardware stores as a thermal insulation material in some European countries (France in particular). After years of being left in the cold, US Modelers can now obtain Depron or substitutes (notably one call Zepron) from Air Dynamics) and Depron USA. The coolest thing about Depron/Zepron is that you can think of a new airplane design in the morning and fly it in the afternoon. I find it difficult to design airplanes without hard data for various motor/gearbox/propeller/battery combinations. Performance prediction software like MotoCalc are very useful tools, but nothing replaces real measurements. Here is a page with data on various batteries (energy/gram and other data). Here is a page with some data on motors, props and gearboxes (static thrust, current...). 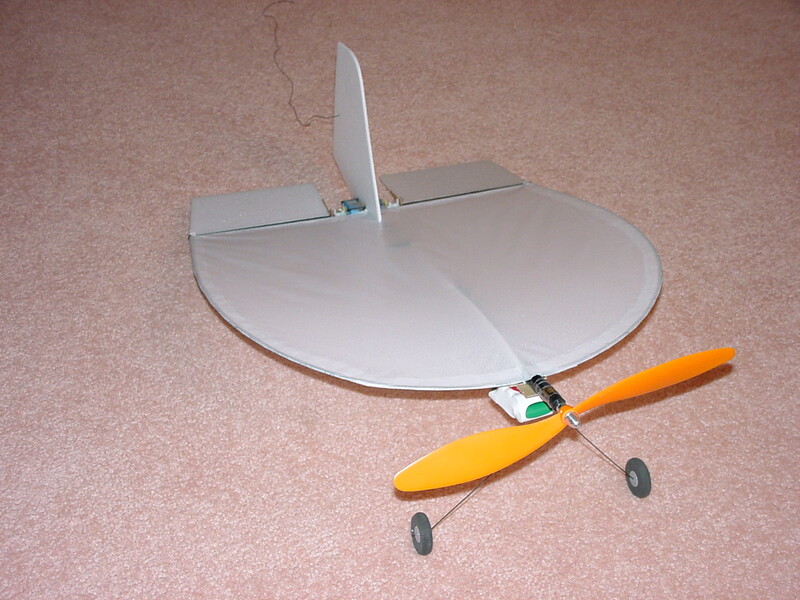 PicoSpit is an ultralight R/C Spitfire for indoor flight. 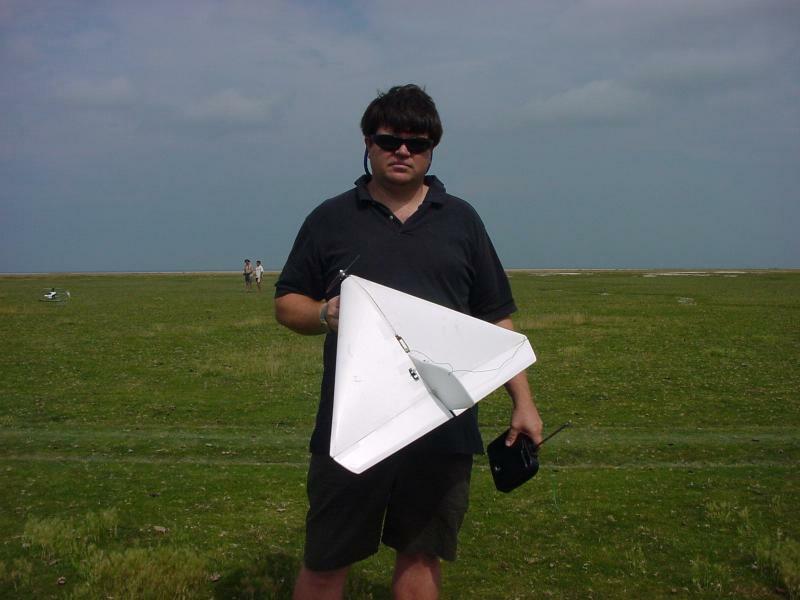 The wingspan is 36cm, the mass 40 grams. It uses an RFFS-100 radio system with magnetic actuators from Dynamics Unlimited. The Zepron Micro Funfly (ZMF for short) is a small funfly-type ariplane with a Zepron wing. 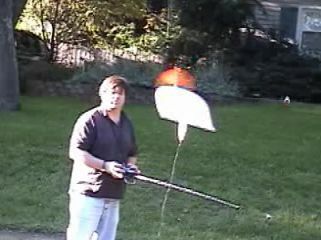 Wingspan: 60cm; Mass: 150 grams; Motor: Potensky POT-2A with a 7.8x4.7'' folding prop; Battery: 8 cell NiMh 150-300mAh. The Minicam is a modified XCam-2 wireless video camera, which can be bought for $80 from www.X10.com. 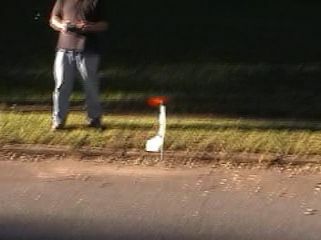 It weighs 50 grams and be can mounted on small electric-powered radio-controlled airplanes. 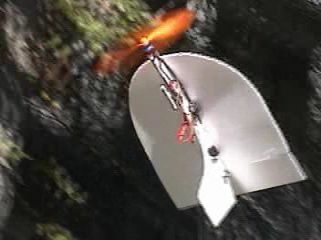 A radio controled ultra-light park flyer built around a compressed-air engine taken out of an "Air Hog" toy plane. This Speed400-powered, all Depron/carbon "Fun Fly" has a huge wing area for its weight and an undercambered airfoil for maximum lift. The wing is a single 3mm Depron sheet folded over a few ribs glued to a carbon spar (6mm carbon tube). 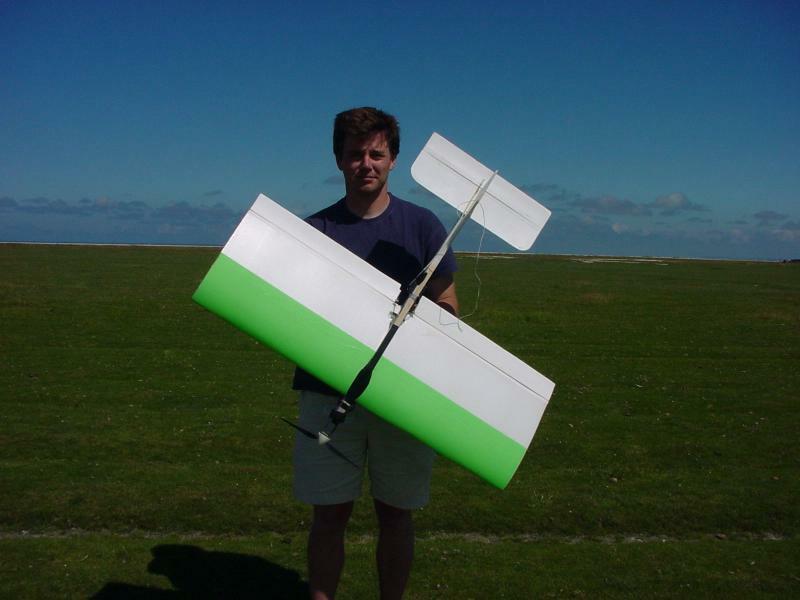 Wingspan: 1000mm; chord: 360mm (including 60mm full-span ailerons); length 900mm; mass: about 600g all included; motor: Speed 400 with 4:1 gear and 11-8 (28-20) folding prop; battery: 7 cells 500mAh; designers: Yann and Bertrand LeCun; Design: particularly ugly. 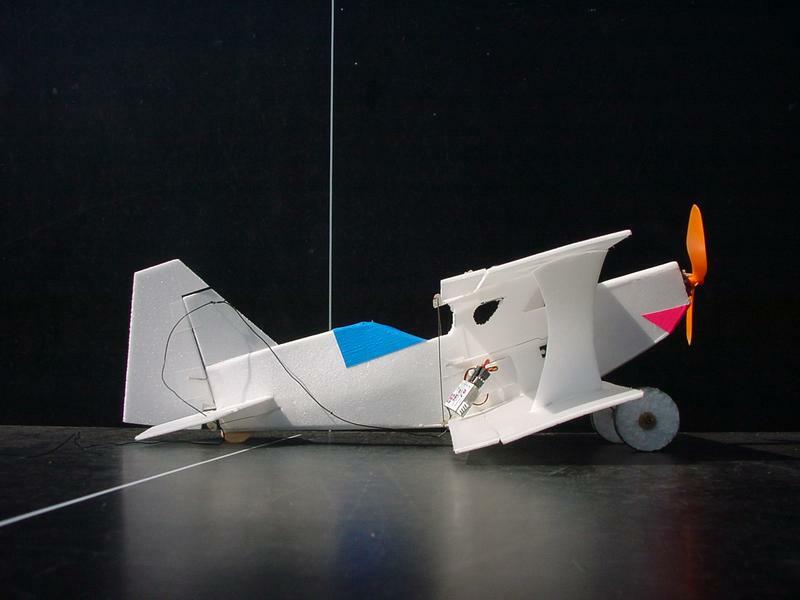 This plane can fly incredibly slowly, yet can loop and roll at unreal rates. It can climb and land vertically in 5 knots of head wind. This is a large gallery of pictures, movies and information about various aiplanes built be me, my dad, my brother, and my kids.